The 4,500gn Texel gimmer from Robbie Wilson, North Dorlaithers, Turriff, which was Texel champion at the 2017 Christmas Classic. Farmers from across Scotland will flock to the north-east next week for the annual Christmas Classic show and sale. The two-day event, organised by Aberdeen & Northern Marts (ANM) in conjunction with the Aberdeen Fatstock Association and sponsored by NorthLink Ferries, is on Monday and Tuesday. Various shows and sales of prime and pedigree livestock will take place as well as the Rising Stars Exhibition calf show and show of cast sows. The event kicks off on Monday at 11.30am with judging of the cast sows competition. Pedigree female sheep judging follows at 2pm, followed by a sale of the entries at 4pm. Thereafter, young farmers prime sheep and cattle judging takes place on the Monday evening, as well as the Rising Stars calf show. Prime cattle and sheep judging starts at 8.30am on Tuesday, followed by the sale at 1.30pm. Pedigree beef cattle will be judged at 11.30am and sold at 2pm. Entries include 24 cattle for the Rising Stars calf show, 60 prime cattle, 150 prime lambs, 230 pedigree female sheep, and 31 pedigree beef cattle. Last year a record price for a female sheep was achieved when the Texel champion went under the hammer for 4,500gn. 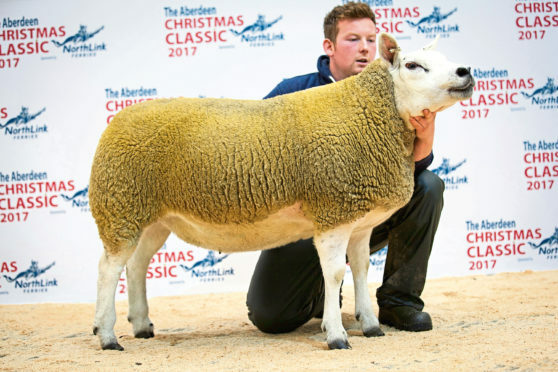 Put forward by Robbie Wilson of North Dorlaithers, Turriff, the gimmer was by the 12,000gn Glenside Wild Boy and in-lamb to the 60,000gn Strathbogie Yes Sir. She sold to Steven Smith, The Byre, Sunnyhill Croft, Turriff. The prime cattle champion – a Limousin cross heifer named Spicy from Harry Brown, Auchmaliddie Mains, Maud – sold for £4,600.